Richard Carl Yochum, 98, of Bethlehem passed away on July 11, 2018, at Sacred Heart Senior Living in Northampton. He was the son of George and Anna (Hagermann) Yochum. Richard was the loving husband of the late Geraldine (Hauze) Yochum. He was predeceased by his brothers and sisters-in-law, George and Mary Yochum, Robert and Helen Yochum, Frederick and Virginia Yochum. Richard was an employee of the Bethlehem Steel Corporation for 44 years. He was a member of the Westside Moravian Church. He served in the U.S. Army during WWII as part of the 282nd Signal Pigeon Company. Richard took great pride when he assisted his friend, Author John Alosi, in providing details of his Army experiences for the production of Mr. Alosi’s book, War Birds. Richard is survived by his devoted son, Richard Courtney Yochum and Mary Ann Grazioplena; grandson, Rhett Chandler Yochum and his wife, Sylvia (Perna) Yochum; great grandson, Rhys Cole Yochum; many nieces and nephews, including Douglas (wife Shirley) Yochum, who is an Elder at the Westside Moravian Church; dear friends, John and Nancy Eder. The family wishes to most sincerely thank the administration and staff at Sacred Heart Senior Living for their excellent care and loving attention given to Richard during the last ten years, as well as the staff of Family Pillars Hospice for their care during his final days. Calling hours will be held on Monday, July 16, 6-8PM, at Downing Funeral Home, Inc., at 1002 W. Broad St., Bethlehem, PA 18018. Richard’s funeral service will take place on Tuesday, July 17, at 12:30PM at Westside Moravian Church, 402 3Rd Ave., Bethlehem, PA 18018. Burial to follow at Bethlehem Memorial Park. Contributions may be made in Richard’s memory to the Westside Moravian Church. Louise J. (Garger) Yuhas, 89, formerly of Bethlehem, passed away peacefully October 11, 2017. She was the loving wife of the late Michael E. Yuhas. Born in Coplay, she was the daughter of the late Joseph and Louise (Weider) Garger. Louise worked previously for Forte Neckwear. She was a member of St. Anne’s Catholic Church. Louise loved to play BINGO and was an avid reader. She was always known by family and friends for her halupki and nut roll. She will be deeply missed. Survivors: daughter- Diana Deutsch and husband Donald of Moore Twp. ; granddaughter- Amanda Deutsch; brother- Edwin Garger of Las Cruces, NM. She was predeceased by brothers- Joseph, John “Lefty”, Frank and James and sisters-Matilda and Elsie. A viewing will be held on Monday 6-8PM in Downing Funeral Home, Inc. 1002 W. Broad St. Bethlehem, PA 18018. A viewing will be held Tuesday in church 9:30-10:30AM with Mass of Christian Burial to be celebrated at 10:30AM all in St. Anne’s Catholic Church 450 E. Washington Ave Bethlehem, PA 18017. Burial to follow in Cedar Hill Memorial Park. Contributions can be made in Louise’s memory to St. Luke’s Hospice 801 Ostrum St. Bethlehem, PA 18015. 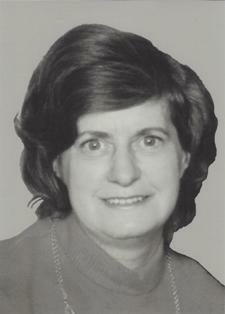 Margaret Patricia (Kraynek) Yencho, 87 of Bethlehem passed away peacefully on Monday, November 14, 2011. She was born in Hokendauqua, PA. Her husband was the late Frank Yencho. As a young girl she worked for the Allentown Silk Mills. She attended Evelyn’s House of Beauty and became a beautician for the former Hess’s, an occupation of which she was very proud. For numerous years she practiced hairdressing in her home. She enjoyed swimming, gardening, the polkas, and watching cooking programs. Her beloved cat of many years, Dinah, passed on June 16th. She is survived by a sister, Catherine Stinner, of Palmerton. She leaves behind a daughter, Colette, wife of Dennis Snyder of Bethlehem, a son Gary, husband of Debra, and a granddaughter, Erica of Allentown. Mass of Christian Burial will be on Friday at 10AM in Notre Dame of Bethlehem Catholic Church, 1861 Catasauqua Rd. Bethlehem, PA 18018. Burial in St. Andrew’s Cemetery in North Catasauqua. Downing Funeral Home, Inc. in charge of arrangements. Contributions can be made to either St. Luke’s Hospice or Meals on Wheels.